the chaos: Wow! 2 posts in a day and an award to boot! Vasco is such a sweetie...I was giving the prestigous...coveted...okay maybe not...but hey! I got an award! Isn't he a sweetie? You can check out his fabulous blog: here! He is a talented digi designer for Sunshine Studio Scraps so make sure you swing by and check out his fabulous work! Congratulations! What a fun award. Heather- Check out my blog when you get a minute! 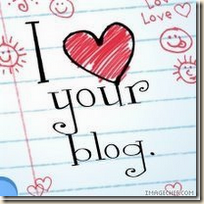 I know you've already been tagged but I've tagged you as well on my blog.